Dying in movies takes a certain kind of skill. Having food that kills takes a completely different kind of skill to pull off. 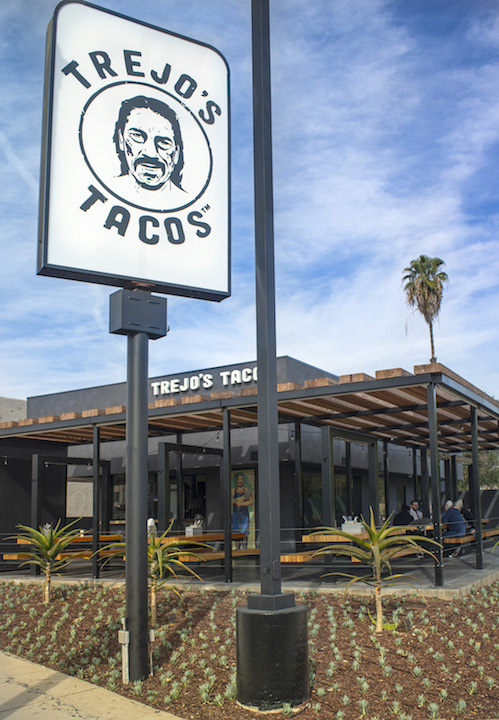 Early indications are that Trejo and his business partner Ash Shah have indeed pulled it off with Trejo’s Tacos, at 1048 South La Brea, which celebrates its opening. Jeff Georgino is also a partner in Trejo’s Tacos. 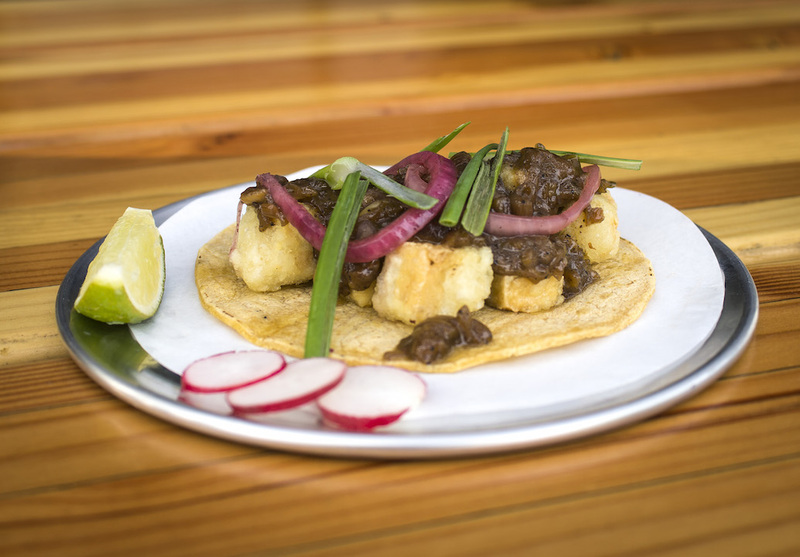 Nor will one go hungry at Trejo’s Tacos with food that is locally sourced, fresh, and made to order. The signature menu items are the Fried Chicken Tacos, Street Corn and Rancho Gordo heirloom beans. Also the vegan friendly black pepper tofu tacos, seasonal farmer’s market salad, wild shrimp tostada and the BCR burrito. “The menu is my vision,” says Trejo, “I have tasted and approved all the food. 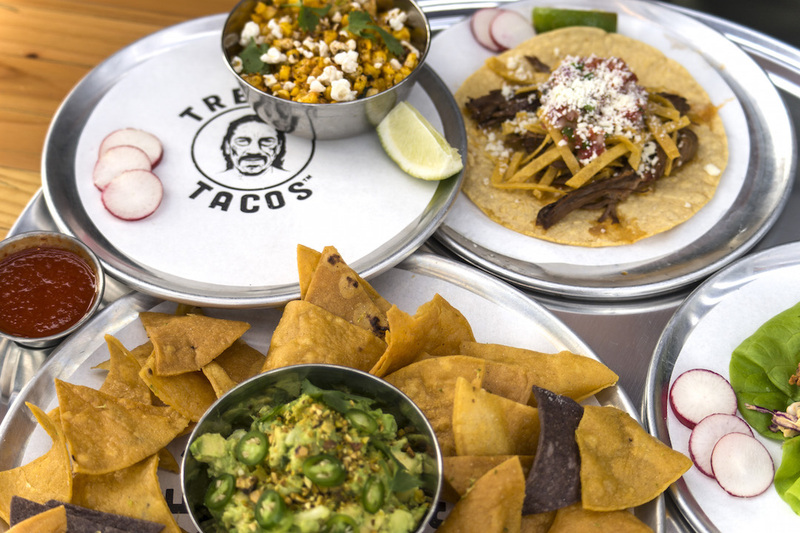 Trejo’s Tacos also offers a variety of tacos that include steak, achiote chicken, pork shoulder, brisket, Baja fish and vegan options such as Austin style avocado and roasted cauliflower. The tacos can be rolled, bowled or machete style (served in a lettuce cup). The signature dessert is the Trejo’s Ice Cream sandwich, which is a Mexican hot chocolate chip cookie with McConnell’s ice cream. 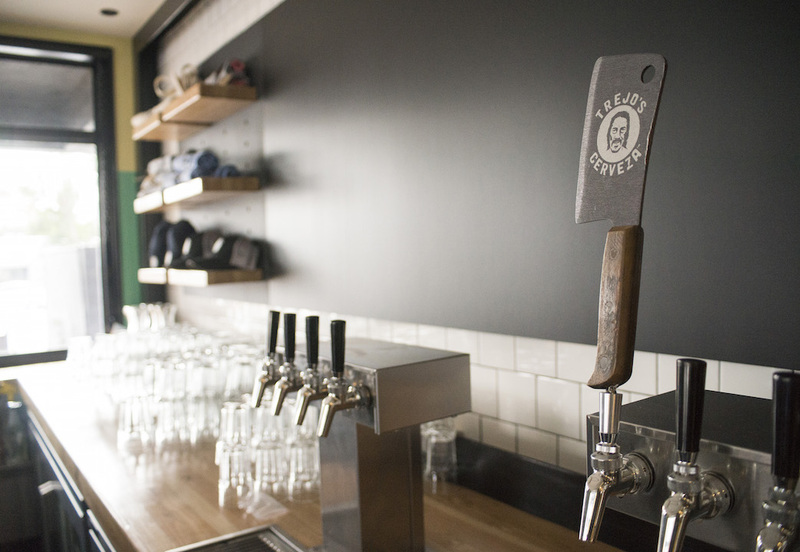 Beer and wine will be offered on tap. The signature beer, “Trejo’s Cerveca”, is a Mexican style craft lager brewed in Los Angeles’ Arts District along with five other rotating local craft beers. Non-Alcoholic beverages consist of a date sweetened housemade Horchata, Kombucha on tap, (fermented tea and very healthy), Trejo’s own signature blended coffee which will be available either as a drip or nitro cold brew and two housemade Agua Fresca’s. The restaurant was designed by Kristofer Keith of Spacecraft Design Group, and includes an outdoor patio with custom picnic tables with built-in heaters, power outlets and phone charging stations. There’s a kids play area with books, giant blocks and a Connect 4 game. 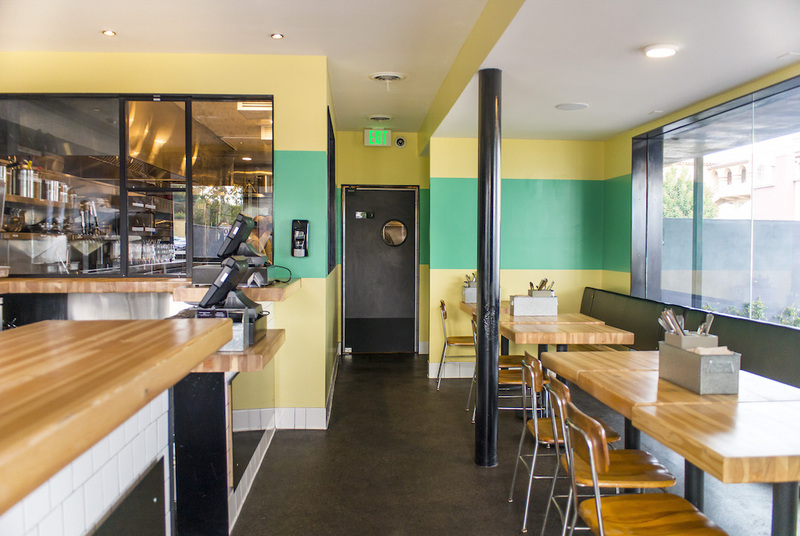 Local Boyle Heights street artist Ernesto Yerena created the murals that decorate the restaurant and add a pop of color to the muted palette. The capacity of the La Brea location is 62. 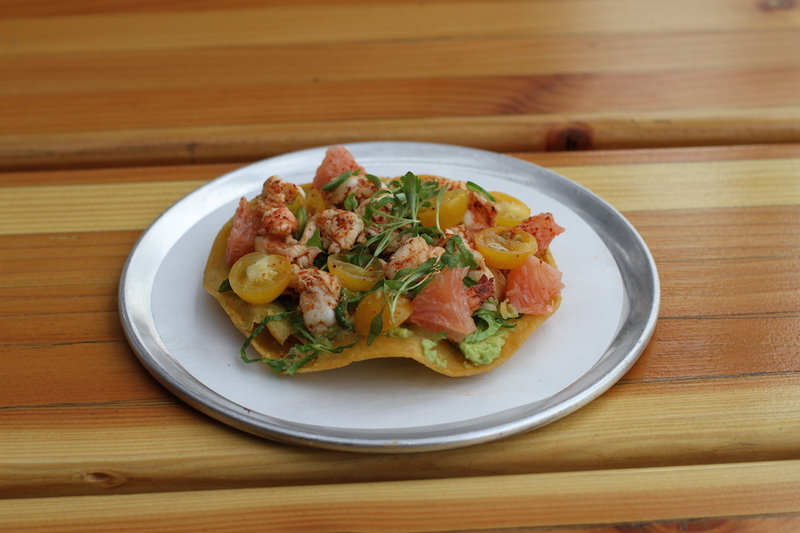 For the first month, Trejo’s Tacos will only be serving a limited menu with full service expected a few weeks later. 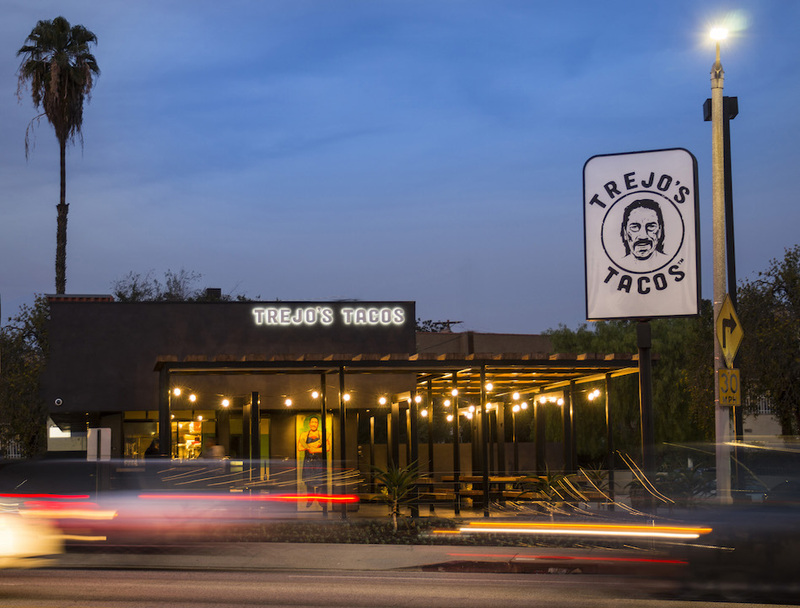 A second Trejo’s Tacos location, in Hollywood, will open this spring.